Tails- not just an outdated hair style. 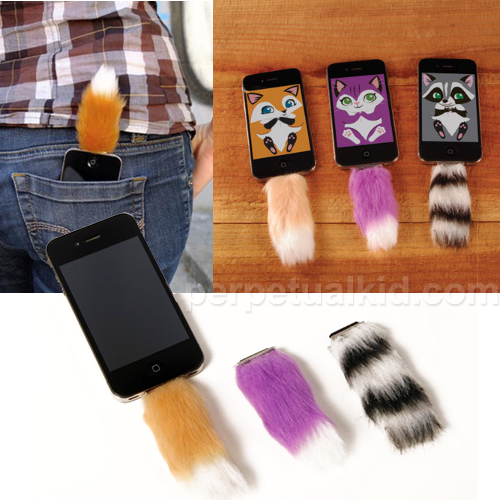 Now they’re accessories for your iPhones and iPads with Phone Tails. Add a fox, raccoon, or purple cat. You treat your iPhone like a pet anyway, why not give it a little furry tail, maybe a name, occasional treats, a chew toy, and a belly rub? Cause really, that purple cat is calling your name. Purrr.